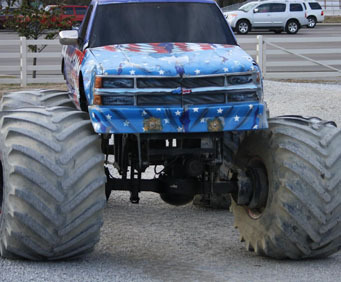 Gatlinburg Outdoor Adventures: Helicopters, Monster Trucks, & More! A wide variety of outdoor activities await you on your next Gatlinburg - Pigeon Forge getaway! Outdoor activities are great for the whole family, and here are a few activities that you might want to check out. Enjoy an awesome 2.5-mile trail ride at Big Rock Dude Ranch at Ponderosa LLC! This amazing adventure allows guests to soak up the sun and see some of the Great Smoky Mountain's finest views. 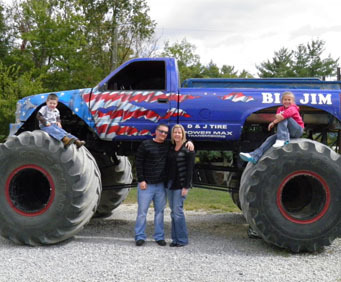 Monster truck rides are also a great way to entertain the whole family. 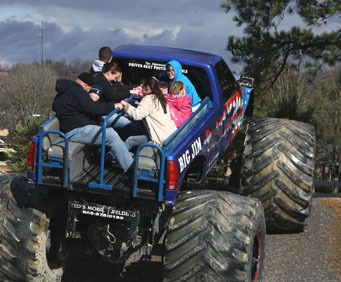 Climb aboard a giant beast with 66 inch tires and enjoy a thrilling ride with the beauty of the Smoky Mountain area all around you. Great for the kids and the adults as well. A beautiful outdoor playground set against the spectacular Great Smoky Mountains awaits you on your next Gatlinburg - Pigeon Forge holiday. The next time you're in town, be sure to check out one of these exciting activities that will be enjoyed by all ages. My son talked about it all the way home and it was a 6 hour drive!!!! Had a blast. My two grandchildren rode up front in the truck and they were thrilled beyond words. Surprised our friend for his 30th and he bloomin' loved it!